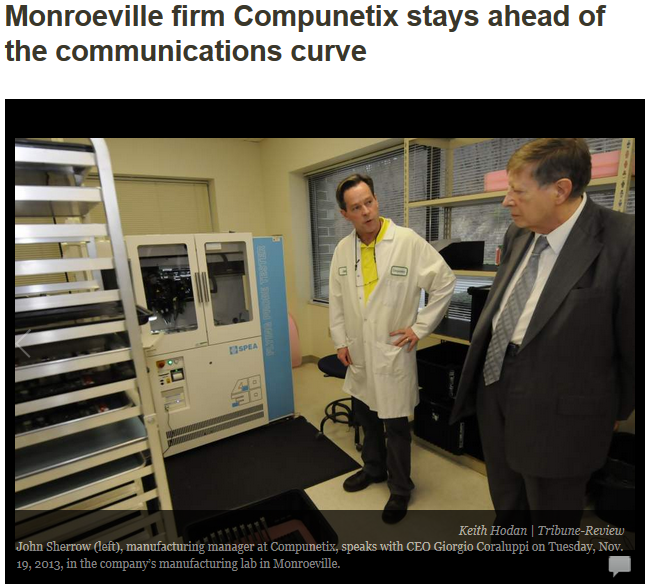 Terrific Article on Compunetix and Dr. Coraluppi on TribWeb Today! An in-depth article about Compunetix and its President and CEO Dr. Giorgio Coraluppi was posted on Pittsburgh’s TribWeb today … click here to see the photos and read the piece in its entirety. Thanks to Alex Nixon and TribWeb for the feature!